An EHR downtime puts patient care at risk: a single incident can lead to negligence malpractice, legal costs, and a permanently tarnished reputation for a healthcare organization and its leaders. However, implementing a downtime solution can be challenging. Manual workflows to process and distribute physical documents are costly, inefficient, and unsecure, while designing a homegrown solution can burden an IT staff with unneeded complexity. 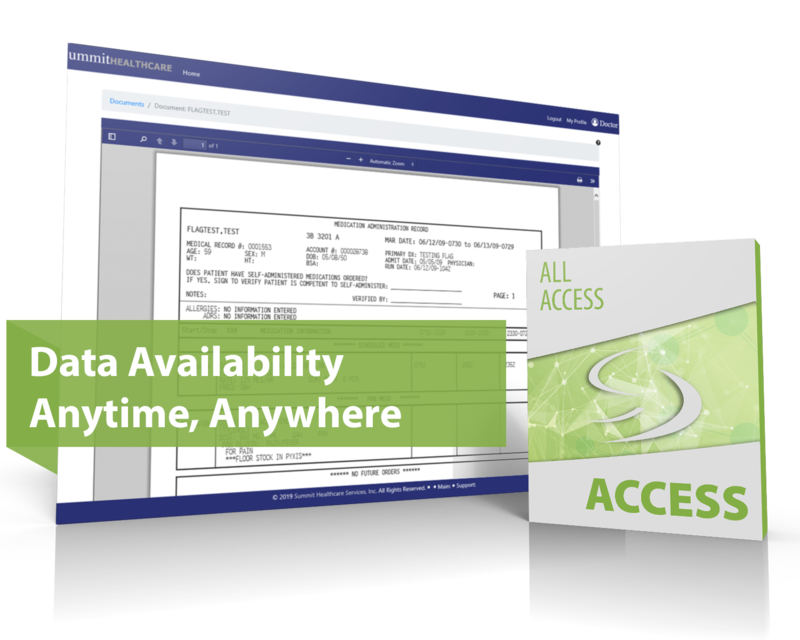 Summit All Access takes the fear out of downtime and business continuity planning. 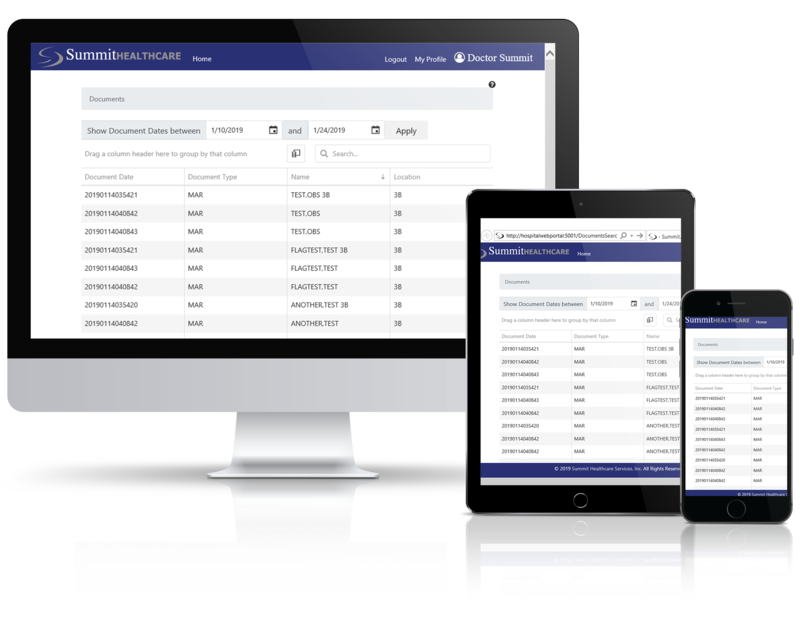 Securely distribute clinical documents and forms from any source system, empowering staff with the confidence to maintain quality patient care during a planned EHR downtime, a network downtime, or even an organization-wide natural disaster. 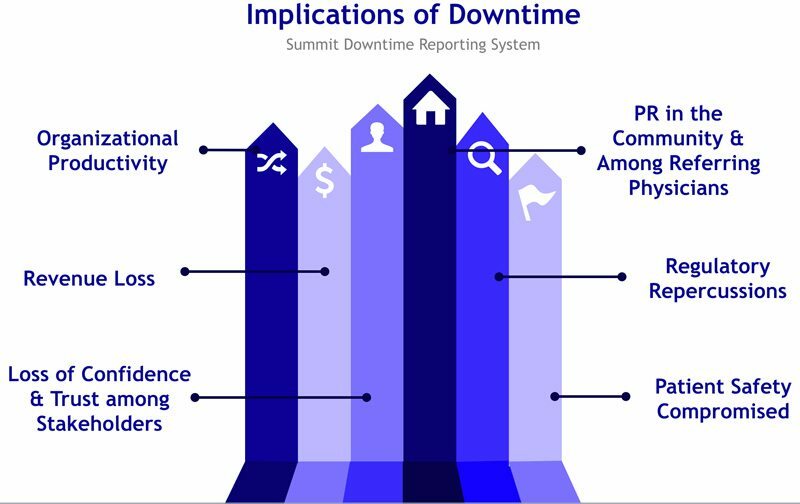 How Prepared is Your Organization for a Downtime? Grant staff audited access to real-time and historical patient data via web portal. Automate the distribution of reports, blank forms, lists, instructions, and other custom clinical and non-clinical documents throughout your organization. Leverage HL7 and CCD data to compliment patient information available during downtime. Instantly expand your solution to new departments and facilities by granting access to the web portal. Synchronize portal data to dedicated workstations for usage during network downtime. Conveniently access data via smart phones, tablets, and other tech in your organization’s BYOD policy. Empower staff with user-friendly web views and search tools that streamline their workflow during the chaos of downtime. Make report output data meaningful to department-specific staff using native PDF report reformatting tools. Automatically encrypt all processed data to HIPAA standards. Know who, when, why, and how data is viewed or printed via user audit logs. Keep your staff vigilant with robust alerting options for monitoring every part of your system. Eliminate time consuming or unreliable third-party workarounds in your existing system integrations. Protect your organization from data security litigations with comprehensive auditing. Cut back on purchasing and maintaining thick-client hardware for downtime preparedness. A good downtime plan is not only necessary for good patient care, but also mandated for HIPAA and Meaningful Use. Summit All Access fully satisfies both the HIPAA Final Rule addressing system downtime and Meaningful Use Part Two Core Objective 7. With secure report encryption and distribution, and 100% access to patient information, you can be sure your downtime reporting needs are met in a safe, compliant fashion.